These thick-cut, faux french fries are less oily than McDonald's, but just as addictive. Making restaurant-style fries at home is no easy task, unless you have a fryer basket on hand. But while McDonald’s fries are delicious, you can make fries in the comfort of your own home that aren’t quite as oily. 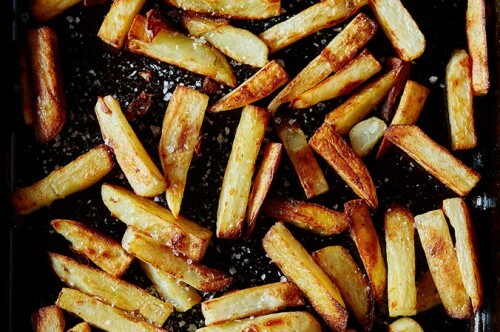 In our latest tutorial from Food52, cookbook author Patricia Wells shares an at-home frites recipe unlike any frites you’ve had before. They’re called “fake frites” because they lack the deep-fried appeal of the fast-food variety—but don’t think you’re getting cheated on flavor. They’ve got the crispy exterior and smooth, creamy interior you’re looking for. What more could you ask for (besides Sriracha ketchup and mayo)? Check out the recipe below to take a whack at fry perfection. Get the instructions and read the full recipe here. Preheat the oven to 500°F. 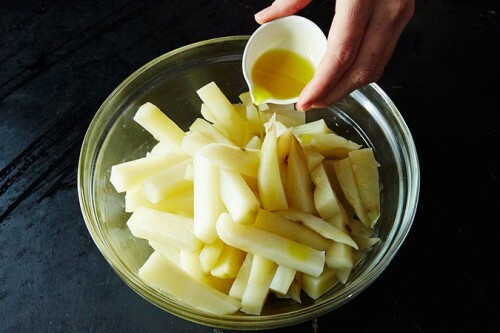 Peel and cut potatoes into thick fries, 3/4 inch by 3 inches. 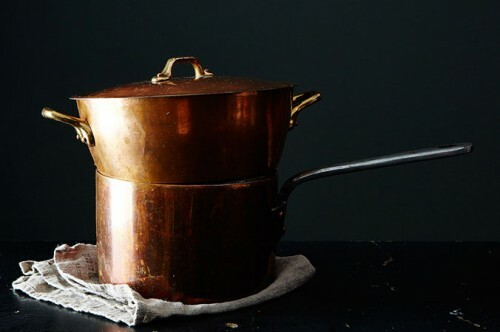 Bring 1 quart of water to a simmer in the bottom of a steamer. 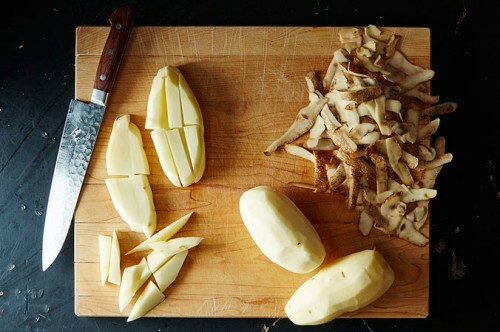 Place the potatoes on the steaming rack, place the rack in the steamer, cover, and steam just until a knife inserted in a potato comes away clean, 10 to 12 minutes. 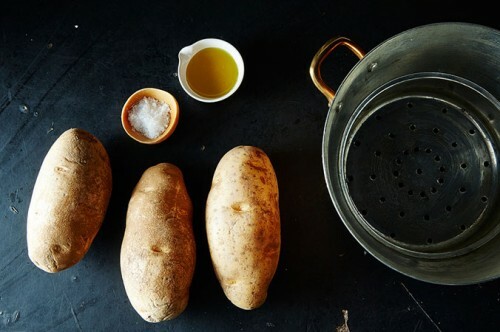 Transfer the steamed potatoes to a bowl and drizzle with oil. Carefully toss to coat evenly with oil. 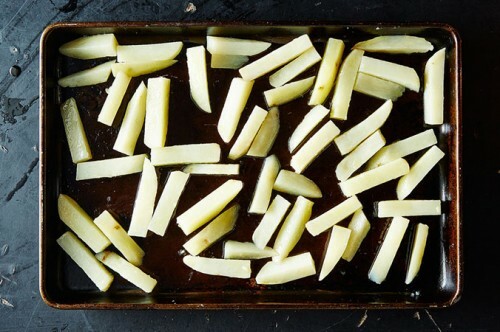 With a large slotted spoon, transfer the potatoes in a single layer to a nonstick baking sheet. Discard any excess oil or liquid. 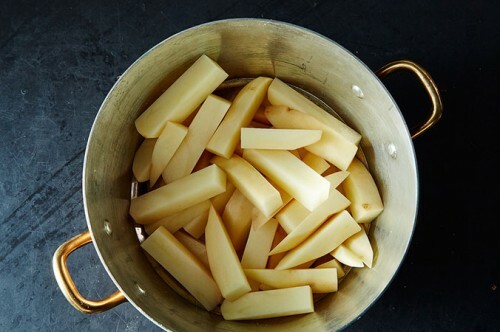 Place the baking sheet in the oven and bake, turning so they brown evenly, until the potatoes are crisp and deep golden brown, 10 to 20 minutes. Remove from the oven, season generously with salt, and serve immediately. Find more recipes from Food52.